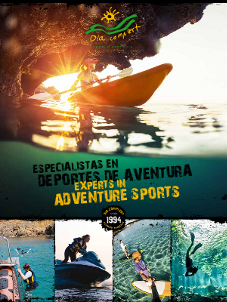 Would you like to enjoy with a kayaking trip sailing the most virgin and wildest area of Menorca? 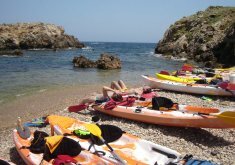 We have prepared some possibilities that allow you to try depending on your preferencies: routes around cliffs, caves, virgin beaches, snorkelling sessions in the marine reserve and the possibility to do the trip in the north coast or the south coast of Menorca. What more do you need? We admit groups of 20 people as maximum. Call us and book now! 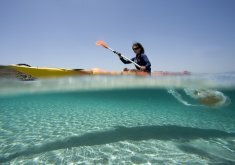 Kayaking excursion and two snorkelling sessions in two different points of the marine reserve.